We'll be at PAX West! Yep! 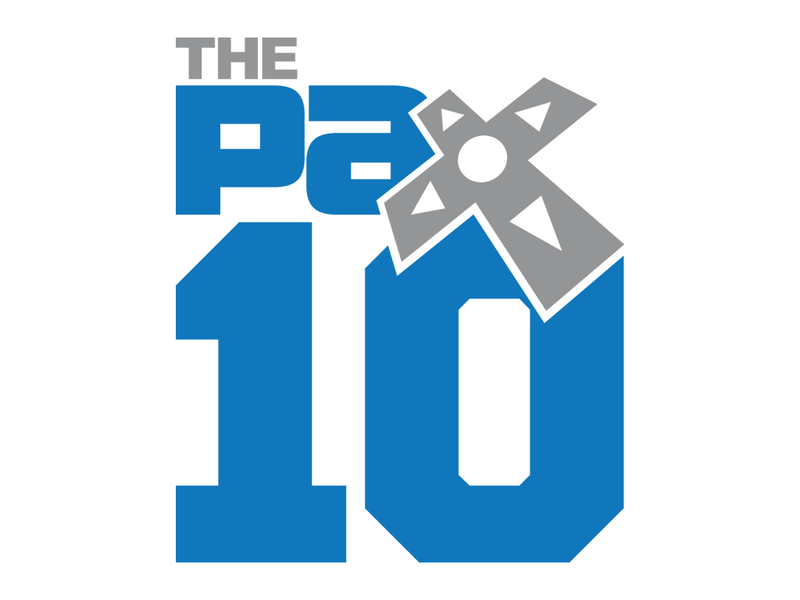 We were selected to showcase Praey for the Gods in the PAX10 at PAX West this year. The PAX 10 is determined by a group of 50 industry experts and recognizes the ten best indie games at the event based on gameplay and overall fun-factor. It’s a pretty sweet honor and after working with our Closed Alpha backers for close to 6 months, we have something we can show publically. The game has come so far from when we started and yet we still have so much more we want to add to it. Especially, now that our tech is in place we can finally do the more fun polish and even sneak in a couple new features:). We’ll be located at booth #7310 and will have some limited swag to hand out (ie: patches and pins) for those that come to say “Hi” and play the game. We’ll also be talking at a panel on Saturday at 7:30pm with some of the other indie teams that were selected to show at PAX10. It should be a lot of fun so make sure to swing by and see us!. Additionally we will be sitting down with press to show the build and talk about development, so keep an eye out for some more info in the coming week. We were very excited by our reception at E3 and dove right back into development, adding more features and more polish to the game. 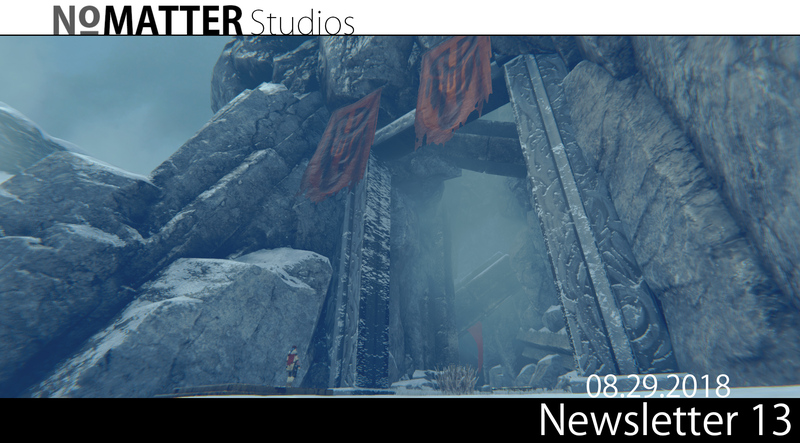 We completed a full pass on snow textures, lighting, and optimization in addition to improving the climb controls, campfire system, and overhauling our vegetation system for increased interactivity -- we even added an entire puzzle system, and that’s only scratching the surface! 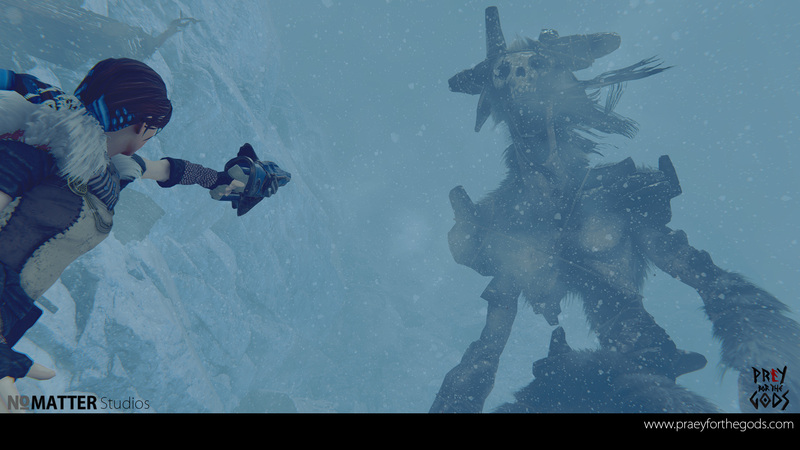 It’s crazy how much stuff we’ve packed into the game, but before we feature creep ourselves into oblivion let’s talk about the elephant in the room: Closed Beta. So… Our current estimates based on our road map puts us around a Fall 2018 Closed Beta. We’d like it to be more concrete but our goal for Closed Beta is to have the bosses, cutscenes, music, etc, all polished to a shippable state. However, that doesn’t mean Closed Beta will have all 5 bosses to play. To keep spoilers at bay, we’re considering having a few accessible during Closed Beta and holding the rest for our initial PC release. We’ve been working around the clock but managed to squeeze out some time to sit down and answer a bunch of great questions from the fans that hang out in our Discord Channel. You can read the most recent Q&A for the Gods by clicking the link below. Special thanks to our mods on Discord server for curating the questions this time. As always, you can also ask more questions in the #qa_for_the_gods channel in our Discord channel. Do you have some PftG fan art you want to share? Or maybe you want your questions answered in the next “Q&A for the Gods”? Or simply want to chat with the devs. If so, feel free to follow us on Twitter and Facebook and join our Discord channel!